Today we have another guest in ModelBrush, our friend Iván “Groogh” who has prepared a fantastic tutorial about how to paint dark brown bases using Flames of War figures. In fact, you have to visit his blog: 15mmart. 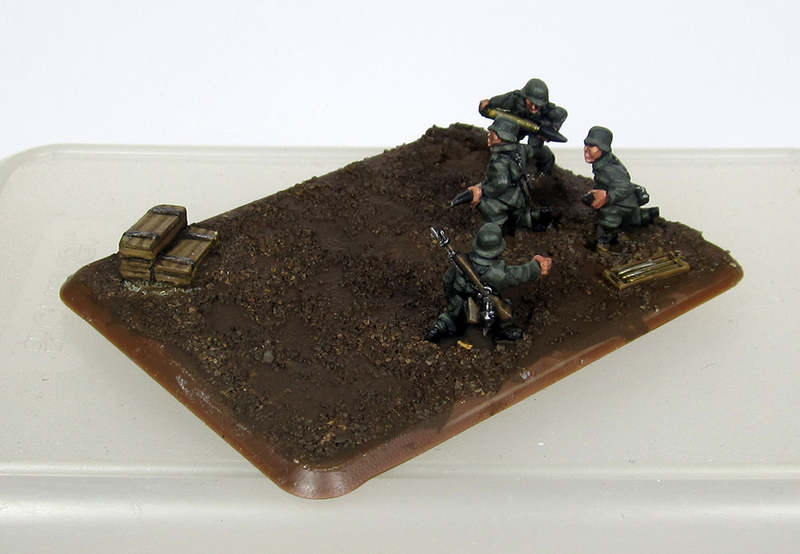 A great platoon isn’t formed by well painted figures exclusively, realistic bases for our models are as important as the soldiers or tanks, because they help to enhance the final result. 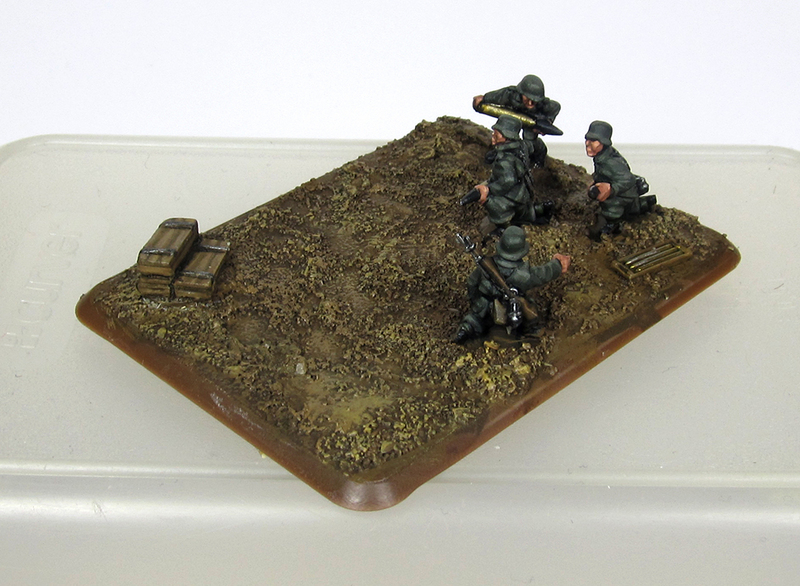 An elaborate base makes a difference, even when the paint of the figures isn’t really good. Let’s see how we can achieve nice dark brown bases very easily with just some paints and materials. I used for this guide two Pak 40 cannons of my Grenadierkompanie. 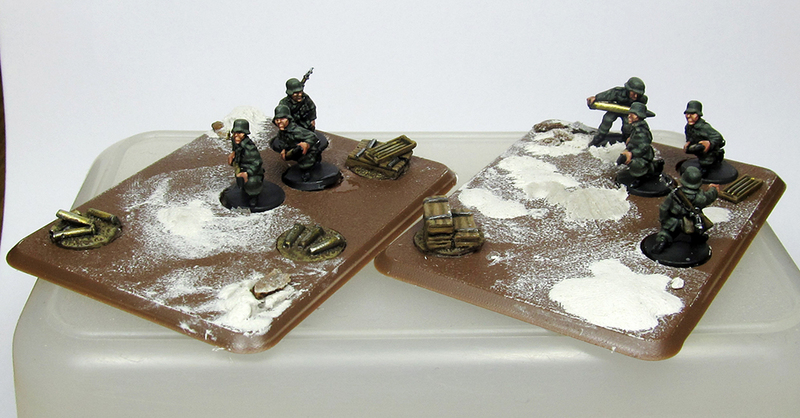 I’m trying to situate the action in Russian spring, with dark brown sand and different kinds of vegetation. First of all, I placed the miniatures in the base, without glue, just searching the best position. 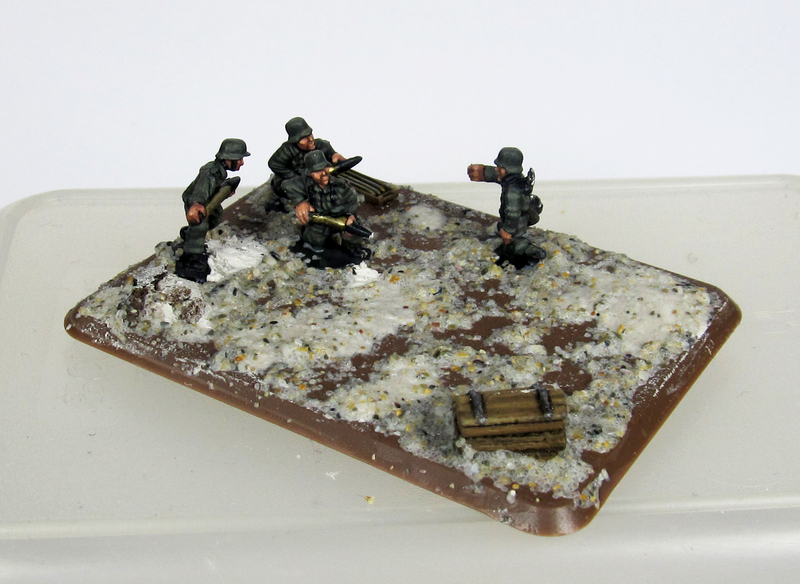 Once I have the scheme in my mind, I removed the figures and started to work in the base. I use DAS clay for adding some lumps in the surface. DAS is really useful for this kind of low precision modeling; it’s cheap and easy to use. The terrains are never completely plains, and that is what I tried to achieve. 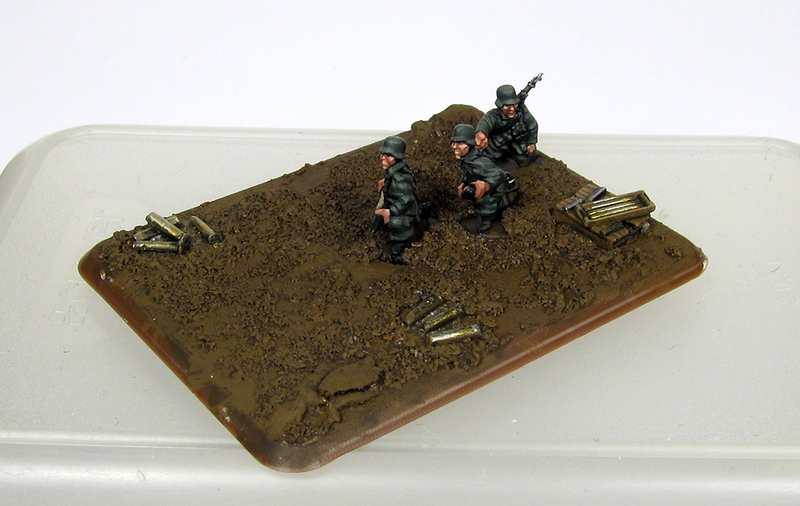 When it was dry, I glued the miniatures to the base. 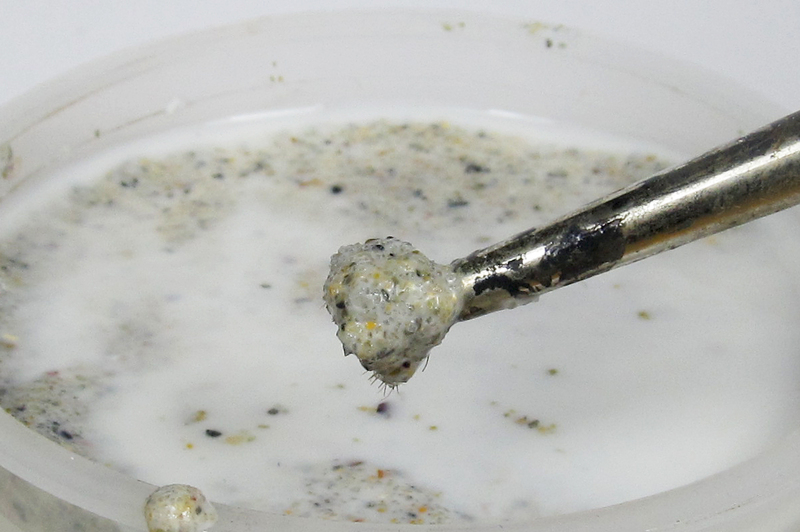 The next step consisted in apply a mix of diluted white glue and sand homogeneous or the whole base. I utilized Chocolate Brown, Flat Earth and Green Ochre (Model Color) in successive layers to paint the sand. 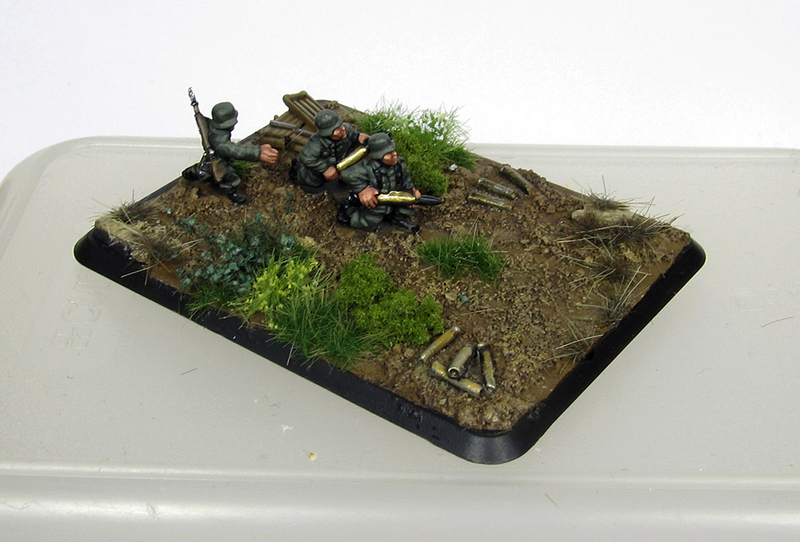 After adding the vegetation I painted with black the edges of the base. I always use black, but for example dark brown is another good combination. The goal is to paint it with a dark color, because it will draw the attention to the miniatures. 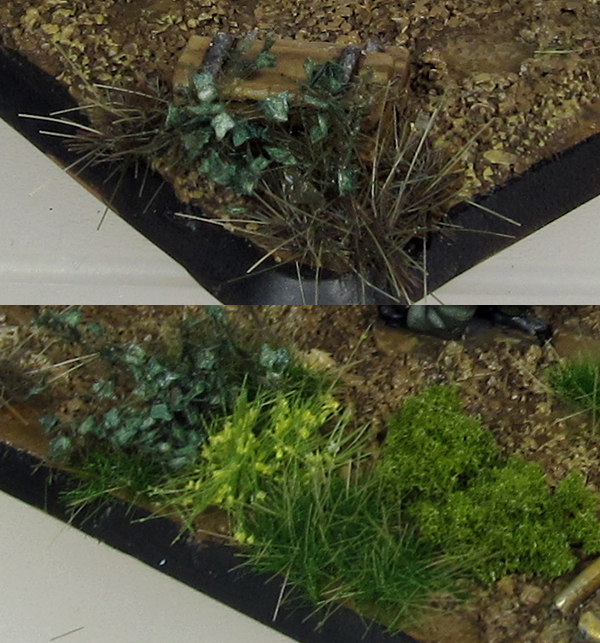 For the vegetation I used Light Green Bushes of Woodland Scenics and different tufts of Army Painter. 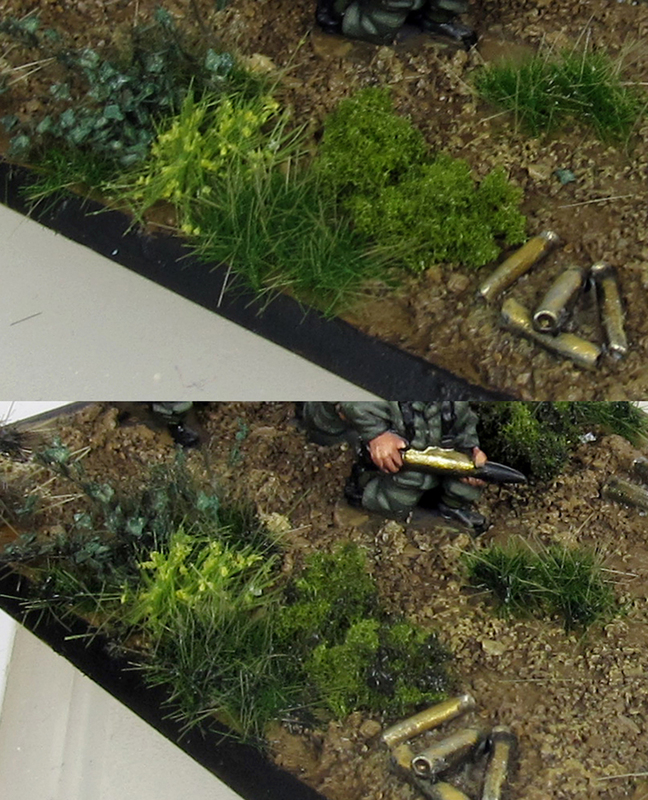 It’s very important, to simulate a real terrain, try to combine the different materials and achieve realistic bushes. Also you can combine all these steps with weathering effects, for example with mud. How did you create the mud effect? Very good tutorial and great end result! Thanks for posting. I utilized the same method for the Flaks, but the final step was to apply Dark Mud of Ak in combination with different pigments achieve the result.